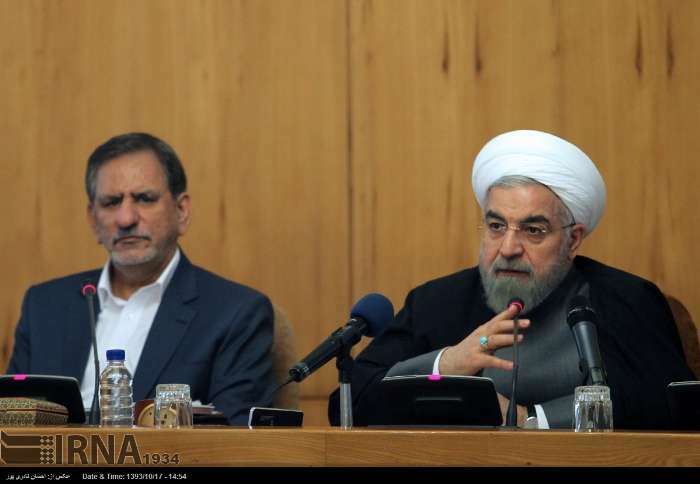 IRNA – President Hassan Rouhani reiterated his administration’s support for the activists of the science and technology parks, saying that promoting knowledge-based activities and the parks are among major achievements of the government. In a cabinet meeting late on Sunday, he called on the executive organizations to extend maximum support for the creative and innovative efforts of the parks. He also invited the universities near the parks to create courses relevant to activities of the parks and cooperate with them in solving problems. A Science and Technology Park is an organization managed by specialised professionals whose main aim is to increase the wealth of its community by promoting the culture of innovation and the competitiveness of its associated businesses and knowledge-based institutions.